We highly recommend that you purchase travel insurance through Travel Insured International, particularly if you are travelling during hurricane season or departing during the winter months from the Northern United States or Canada. You will need to purchase your insurance within 21 days of confirming your charter. When contacting Travel Insured please give them the TMM Vendor #45540. Travel Insured can only offer insurance to people residing in the United States or Canada. From the USA and Canada: St. Thomas, USVI has become the main routing of choice. You will then take a ferry from St. Thomas to Tortola. From Europe: Antigua, Barbados and St. Martin are the main airport routes. From any of these destinations you can choose to fly Winn Air, Inter-Caribbean, VI Airlink or LIAT into Terrance B. Lettsome International airport located on Beef Island, Tortola. If you are coming through St. Thomas in the US Virgin Islands then below is a list of the ferry schedules to help you plan your arrival. You can catch the ferry from downtown Charlotte Amalie or the Eastern end of St. Thomas at Red Hook. The climate in the British Virgin Islands stays relatively constant year round with temperatures ranging from 75-85 °F. Dress in the islands is very casual. In most establishments sundresses, shorts and T-shirts are the normal attire. The best bags to bring are soft sided duffels that can be stored onboard your yacht. Please note that TMM does NOT have room to store empty luggage. Once you let us know your arrival information we will arrange for a taxi to meet you and bring you to the base. Everyone travelling to and from the Caribbean will require a current passport so please ensure that yours has not expired. Effective September 1, an environmental and tourism levy of $10 will be collected on arrival at the port of entry to all visitors to the British Virgin Islands. The fund will be used to facilitate enviromental protection and improvement, climate change, and the maintenance and development of tourist sites and other tourism related activities. Travel Insured International will cover your trip for weather related to hurricanes if your flight is cancelled within 48 hours of your scheduled departure date and time if your trip destination is under a hurricane warning issued by the NOAA National Hurricane Center, provided the cancellation of your trip occurs more than 14 days following your effective date of coverage for the Trip Cancellation Benefits. Please refer to the Travel Insured link below for more specific plan details or call them toll free at 1-800-243-3174 to discuss your particular insurance needs. Please be sure to provide the TMM Vendor #45540. If you choose to fly into St. Thomas (STT) you will be taking a ferry from St. Thomas to the BVI, which is approximately a 50-minute ride. We recommend choosing a flight that arrives no later than 3pm, which will give you time to catch the last ferry of the day which departs downtown St. Thomas (Charlotte Amalie) at 4:15pm, arriving into Road Harbour, BVI at 5:05pm. The alternative route is through San Juan, Puerto Rico (SJU). Most choose the St. Thomas route due to a larger choice of airlines, and flight costs tend to be less expensive than routing through San Juan to Tortola. To fly directly from San Juan to Terrance B. Lettsome International airport, Beef Island, Tortola (EIS) you can choose Seaborne (code share partners with American and Jet Blue), Cape Air (code share partners with United and Jet Blue), Inter Caribbean or LIAT. For those travelling from Europe to Tortola the main airport routes are Antigua (ANU), Barbados (BGI) or St. Martin (SXM). From these destinations you can choose to fly Winn Air, Inter-Caribbean or LIAT into Terrance B. Lettsome International airport, Beef Island, Tortola. The weather year-round in the BVI is very close to perfect, but brief showers do occur and thunderstorms are quite rare. The sun of course shines all year round! For swimming, snorkeling and diving, the sea is warm throughout the year. From December to April the sea temperature is around 78 °F and 84 °F from May to November. Transportation throughout our islands is frequently provided by small aircraft and ferries. The aircrafts have limited luggage capacity, therefore, you should only pack what is necessary. Do not forget your camera, swimsuit, walking shoes, sandals, T-shirts, a light rain jacket, hat, a small backpack, sunglasses and sunscreen. If you are arriving through St. Thomas in the US Virgin Islands you can catch the ferry from downtown St. Thomas (Charlotte Amalie) or the Eastern end of St. Thomas (Red Hook). 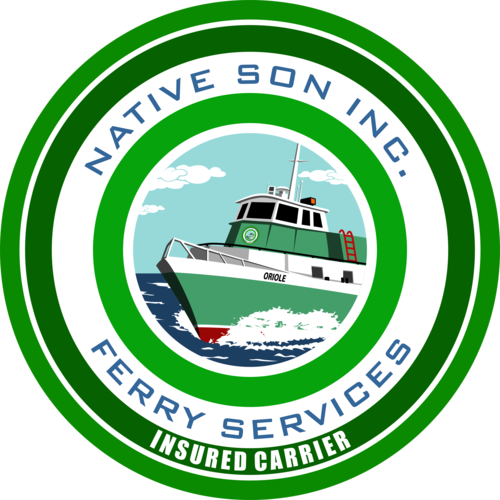 Ferry schedules do vary slightly, so be sure check the links below to view the departure/arrival schedules for each ferry service. Currently, the last ferry leaves Charlotte Amalie (Road Town Fast Ferry) directly to Road Town at 4:15pm, arriving in Road Town at 5:05pm. Departures from Red Hook (Native Son Ferry) are at 5:00pm via West End, Tortola, arriving at 5:30 and then carrying on to Road Town, arriving at 5:45pm. The taxi time from the airport to downtown Charlotte Amalie is approximately 10 minutes, and to Red Hook approximately 25 minutes. Departure tax from St. Thomas is $10 pp and from Tortola $20 pp. Taxi fare from the Road Town ferry is $5.00 per person one-way. If you are going to a hotel there may be an increase in this price depending on the location of the hotel. Pick-ups between 11pm and 7am are subject to a 30% surcharge. Prior to your start date you will be asked to submit your crew manifest and travel form to the USA office. This form does double-duty as your taxi pick-up form. Standard island taxi fares will apply as per the above rates. For those of you arriving the day before your charter starts we can assist with hotel reservations or you can opt for a prior night sleep-aboard on your yacht subject to availability. The sleep-aboard must be booked in advance and the cost is 50% of the daily charter rate of your yacht.